Something I have been meaning to write about for a while is the new exhibition space in Riverside/Bridgeland. It is a short walk outside of the downtown core. This gallery is unique as it is located on property connected to a private residence while facing the sidewalk and street. It is a unique and interesting way to introduce art to a broader audience that may never look at art otherwise. 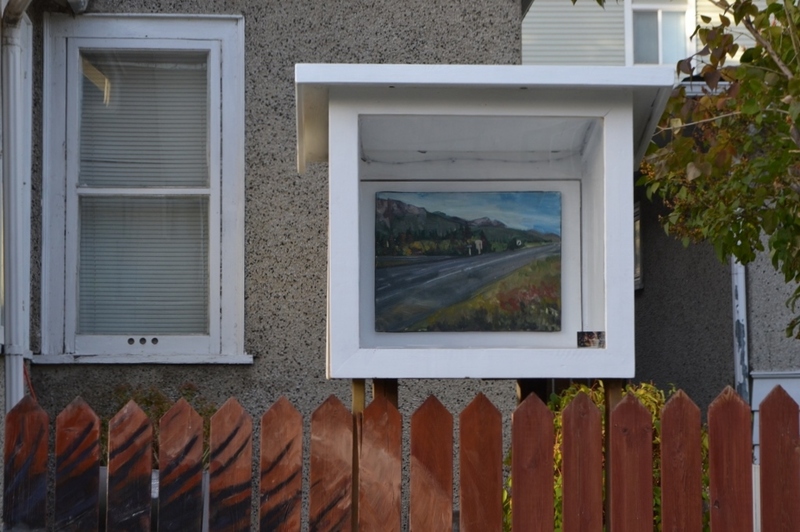 In addition to that, the house also has a Little Free Library located only a couple feet away from the gallery. The first Little Free Library was installed only a couple years ago in Calgary and you can read more about it here. It was developed in Wisconsin during 2009 and has grown rapidly with an estimated 15,000 libraries worldwide. There is also a map of current locations in Calgary here. I am very fond of the Little Free Library project as well, and I am sure I will write about it further sometime soon. The library and the gallery are good compliments to each other – not to mention the piece of public art outside the front door and the mural on the fence, as seen in the photo below. I met up with the owner of the house two nights ago at a reception, and was reminded that I said I would write something about it about a month ago. When we first talked about the space, it was recently built and still vacant. They were waiting to have the first artist show there. From what I understand there was some initial casual discussion about possibly coordinating with the Tiny Gallery for programming, which was never formalized. The two galleries are geographically close to each other, although the layout of the two spaces are completely different. In addition the Tiny Gallery is attached to commercial spaces in the community high street, whereas this space is located on a strictly residential street (albeit well used). They are not connected, but there is definite affinities with each other. It would appear as if this space is coordinating its programming alone. This gallery is very new, and was probably installed near the end of summer. Because of that I am uncertain if there has been a name attached to the space or whether it is just there. Currently there is a landscape painting by local artist Mark Vázquez-Mackay in the small exhibition space. From what I understand from the owner, the next scheduled artist to be featured in this space will be Lane Shordee. Some may remember him as being one of the artists who was involved in a water installation in the courtyard at Phantom Wing. Before that he had a large installation in a greenhouse at Wreck City. I am uncertain when the new show will be installed, but I am sure it will be coming soon. It will be interesting to see what Lane Shordee will create for the space. 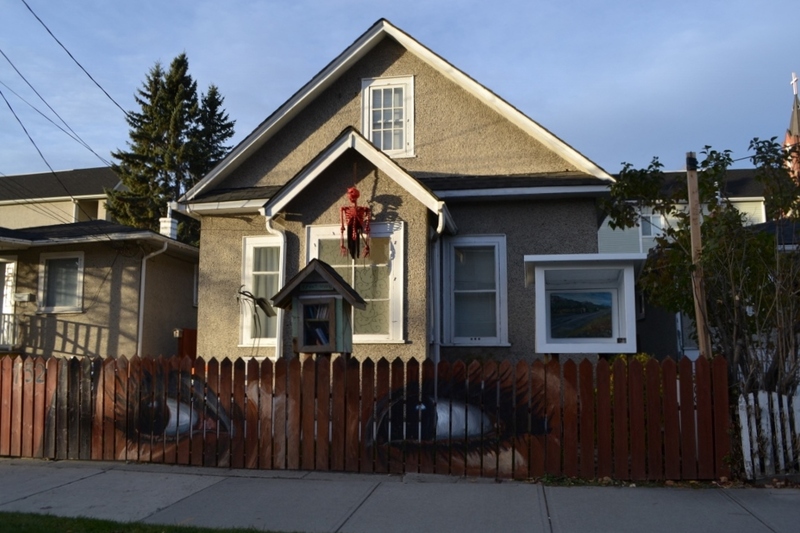 The gallery can be viewed at 732 McDougall Road NE. The blog looks great. We are calling it the Tiny satellite gallery. I’m going to curate the space and Tiny gallery will help promote it. Lane’s show will have its opening Friday November 7th from 4-6.